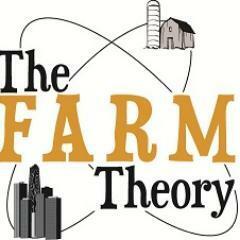 The FARM Theory (Future of America Relies on ME) is a new college organization crafted from the minds of College of Agriculture Sciences and Natural Resources students at Oklahoma State University in Stillwater, Oklahoma. Their ultimate vision is to spread 'positive' messages of Agriculture and spark new conversations on their college campuses. Currently, there are three active FARM Theory groups on college campuses at UC Davis, Texas A&M, and Oklahoma State University. We applaud the next generation of farmers and ranchers working to spread the 'truth' about American agriculture and rising up to stand against radical animal rights groups. We encourage you 'Like' them on Facebook, 'Follow' them on Twitter, and stay connected through their Blog. To learn more about them, take a look at their most recent blog post: "Why should your diet include meat?" Meat is a proven staple of a nutritious diet, and it is important to understand why it should be included in your daily food choices. Meat contains all of the essential amino acids, so it is an important source of protein for the body. Protein can improve overall health, in addition to assisting in the repair and building of muscles, as well as the production of antibodies. Antibodies are essential for protecting the body against infections and strengthening the immune system. Meat contains essential nutrients, which include iron, zinc and selenium. These are necessary for tissue formation, metabolism and the break down of chemicals and fat in the body. Iron is a fundamental nutrient for carrying oxygen to the brain and other parts of the body from the lungs. Iron carries oxygen through the production of red blood cells, which additionally boosts energy levels. Beef is the number one source of Iron in the American diet. Continue reading further by clicking Here.